Join business leaders and professionals from RVA for a special knowledge share and networking event exclusively for women. Relax, connect, and share your ideas about mentoring! Doors open and roundtable assignments are distributed. Don’t miss this opportunity to meet your roundtable peers before the program begins promptly at 4:00 p.m.! 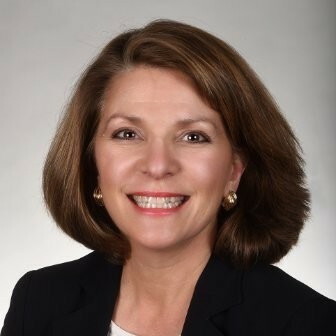 Linda Schreiner is the Senior Vice President of Strategic Management at Markel Corporation. All attendees will participate in prearranged peer roundtables, facilitated by regional female CEOs and business leaders. Roundtable sessions are a perfect forum to test new ideas, solve problems, and learn from others who share your experiences. There’s nothing to prepare. Just come ready to engage, share, and learn from others in this safe and confidential environment. Roundtables will be diverse, representing a range of professions and experience levels. Roundtable members often connect authentically, resulting in new relationships that last beyond the day. Gather with all of the powerful women participating in this inspiring program over cocktails and heavy hors d’oeuvres. Relax, connect, and share your ideas to take on the future! The Best Mentors Think Like Michelangelo, How to Mentor Someone Who Doesn't Know What Their Career Goals Should Be, What Mentors Wish Their Mentees Knew, and How to Be a Great Mentor.